Do you know that Instagram Stories alone have 250 million daily users. 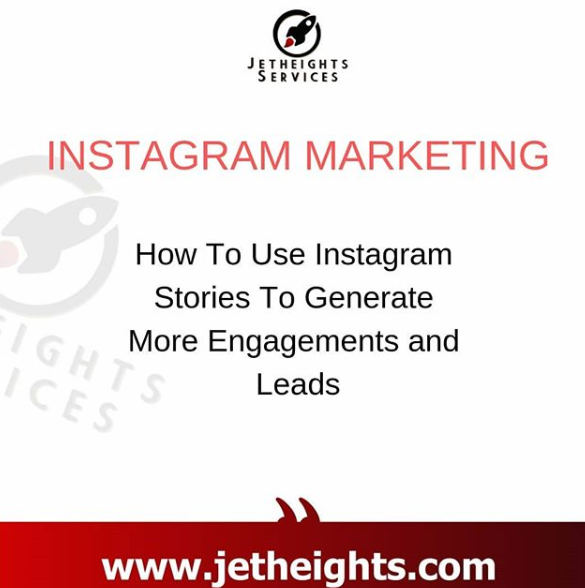 Instagram story is a powerful tool that you can leverage to build brand awareness, drive traffic, or, most importantly, generate leads. Many people don’t know how to use this tool. Your major objective with this tool is to tell your Story because telling your story gets people to trust you more. With a link you can direct people perform an action on your page e.g buy, subscribe, attend, etc. Create a funnel for this! What do you do behind the scenes of your business that is particularly interesting, unknown, and visual? You want to take videos and pictures of your employees doing those things. Note that people connect most with brands that tell their stories often and well. When your audience can spot authenticity, they become loyal to you. A strategy to adopt is to use your instastory to let your audience know you are available to answer their questions. The secret is that when your audience thinks you’re helpful and cool, they are more likely to work with you. The Instagram algorithm takes into account all the interactions you receive on your Instagram Stories as well as replies or when your stories are sent to someone. The more a user interacts with your Instagram Stories, the more likely your posts will show up in their feed. Be creative with your Instagram stories. This is an excerpt from our online course- How To Triple Your Profit in One Month While Working Less. You need to take this course. Watch out as we announce the official launch soon. Kindly drop your feedbacks in the comment section and don’t forget to tag and share to everyone that needs this! DON’T FORGET TO USE HASHTAG #jetheights ON YOUR UPDATES FOR MORE LIKES, SALES, ENGAGEMENT, ETC.